Discussion in 'Baking, Bread Making and Cakes' started by Mewmew, Apr 16, 2019 at 3:46 PM. Anyone in here made a few howlers while baking and witnessed the result that emerged from the oven? I did. Yesterday in fact. Enough cupcake mixture to make 24 little beauties. One problem: a dight too much lemon and lime curd. Result: caramelized sugar which turned the poor little cupcakes into slightly chewy cupcakes. The first set were completely napalmed, as it were, and the second set, though slightly darker and in no way burned, were totally sealed to the cases. Laugh if you want, and I eventually saw the funny side, so to speak, but I couldn't even toss the charred cupcakes out for the birds - I think they would have thrown them back at me with a cannon - and the second set had to be peeled out of their cases. At least they were edible. And tasted lovely. Lesson learned: do not put too much curd in anything. TodayInTheKitchen, The Late Night Gourmet and morning glory like this. I made a 7up cake & mistakingly used self-rising flour in it!! What a disaster!!!! 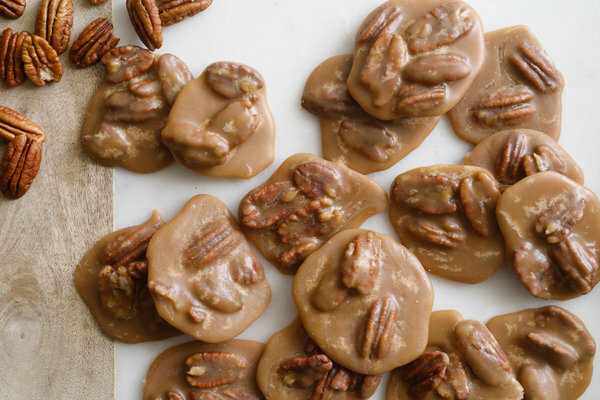 I had made praline candies, and they were excellent. But, for some reason, I decided that the candy consistency was too thick to work in a pie, figuring that the pie would be too dry. So, I made a praline sauce instead. This turned out to be a crucial mistake. Apples have a lot of moisture that gets released as the pie cooks. Normally, all that joins the apple are seasoning, which doesn't increase the moisture. But, that sauce certainly did. It definitely wasn't too dry. Instead, when the crust (which I handmade) was cut, a gush of liquid came pouring out. It looked more like apple pie soup than anything else. I actually tried dumping out the considerable amount of liquid, but it didn't help much. The taste wasn't bad, but the consistency was awful. Everyone else wisely stayed away, and I ended up throwing it out. Instead, when the crust (which I handmade) was cut, a gush of liquid came pouring out. It looked more like apple pie soup than anything else. Great thread. Always love to show off a few mistakes. morning glory and Shermie like this. Glad that you woke up in time, as there could've been a fire!! I NEVER go to sleep while I'm cooking, unless I'm slow cooking something overnight!! Part of growing old...POWER NAPS. I take them quite often. Not a baking disaster, but a disaster none the less. It was a real hot and humid night, so I had the kitchen fan going. I decided to boil up three eggs to eat later or maybe the next day. I didn't have central air, so I went back into a room with a window A/C, closed the door, and suddenly got trapped into the Internet. TWO loud bangs, like gunfire. Wha'th'??? Carefully, I leave that room, and there's no sign of anyone forcibly entering so cautiously I proceed out. The water had run dry and two of the three eggs had exploded upwards and outwards, into that ceiling fan, which spun everything all over the kitchen. (Third egg had fortunately just cracked without exploding). I was finding egg for months, and being that the ceiling was flat paint, it wouldn't clean off from there. The range element also needed replacing, as did the pan. The other one is also not baking, and not even mine. In college one year I had 3 housemates. One of them always got out of classes around 1 pm, while the rest of us had to hang around to close to five. She'd come home and put in a whole chicken into the oven, turn it on to broil, and go take a nap. We'd come home to several kitchen fires, which fortunately we always managed to put out. Unfortunately at the end of the school year, I was the last person to leave, so I got stiffed with the oven replacement bill.